بني في 2003, Hotel on Devonport هو ميزة مُضافة لـ تاورانجا و خيار ذكي للمسافرين. لا يبعد الفندق كثيراً عن مركز المدينة، فهو يقع على بعد 0 km منها. في حين يستغرق الطريق منها إلى المطار حوالي 15 دقيقة. إن سهولة الوصول من الفندق إلى المعالم السياحية الشهيرة الكثيرة في المدينة كمثل تورانجا ارت, ‪Hairy Maclary & Friends Tauranga Waterfront Sculpture‬, دايف اتش كيو هو استثنائي بحد ذاته. يعمل Hotel on Devonport على ضمان إقامة مريحة لضيوفه من خلال خدماته الممتازة وحسن ضيافته. إن واي فاي مجاني في جميع الغرف, مرافق مخصصة لذوي الاحتياجات الخاصة, تخزين الأمتعة, واي فاي في المناطق العامة, صف السيارات هي جزء فقط من الخدمات التي تميز Hotel on Devonport عن باقي الفنادق في المدينة. يمكن للنزلاء الاختيار من ضمن مجموعة من الغرف المصممة بعناية لتعكس جواً من الراحة، والتي يتجاوز عددها 42. كما أن مجموعة الخدمات الواسعة الموجودة في الفندق لضمان راحتك تترك لك الكثير من الخيارات لقضاء وقتك أثناء فترة إقامتك. إن Hotel on Devonport هو مكان مثالي للمسافرين الذين يتطلعون إلى الراحة والاستجمام في تاورانجا. 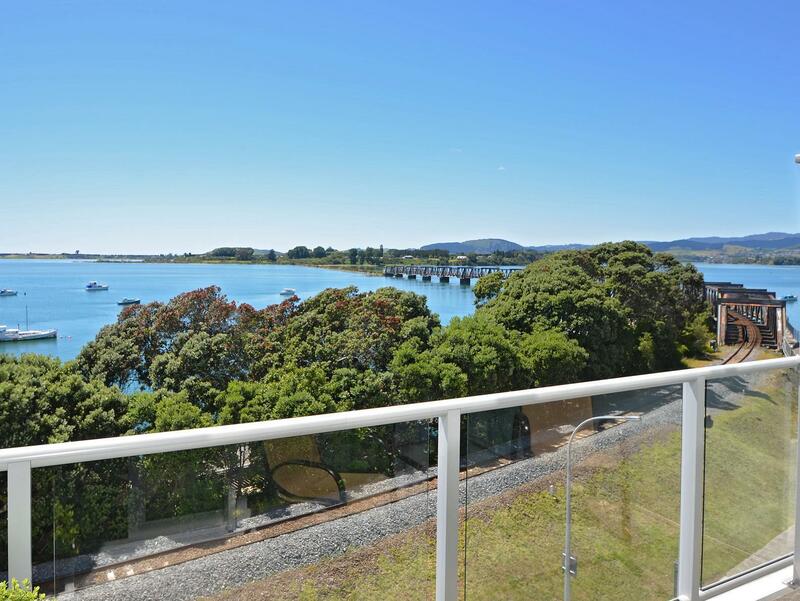 Wonderful location in downtown Tauranga near many restaurants and the waterfront. Lovely welcome drink on arrival. Very clean and spacious rooms. Would definitely recommend! There was nothing not to praise about this accomodation. Great location, friendly staff and perfect room! The bathroom was so clean and spacious, didnt get time to use the spa in the bath but there is the large bath tub! Complimentary drinks upon arrival aswell. Very happy with the serive received and would definitely stay again! We booked two rooms, both were slightly different but equally comfortable. We all really enjoyed our stay! The rooms were large and roomy. Welcome drink on arrival was a nice touch. The weather was rubbish during our stay so we sent a lot of time on our room and utilising the amenities and on-site parking. Will definitely stay again! I quite liked hotel on Devonport. I had a room with balcony which had some water views. Room was quite large, big comfy bed and for those who like baths a huge spa bath as well as shower. Staff were quite friendly and helpful. Great hotel, great location in the heart of Tauranga. Great views and balcony. The Devonport was a great place for a one night stay. Nice big room with a balcony. Cheap overnight parking was great as well. Would come back again. Lovely property, super spacious and comfortable rooms. Will definitely be back! Sheltered carpark with direct access to hotel was great. Very centrally located with lots of shops and restaurants in walking distance, but it wasn't noisy. Room was spacious and beautifully furnished and we had a great harbour view. Would definitely stay here again! We got a great deal through Agoda and got to stay in a lovely place. We had a Executive Studio with spa bath and balcony. This place had air-conditioning which was heaven sent. It was was quite spacious and modern and stylish room and motel. Great bed, The BEST bed actually. Spa bath would have been great but it was far too hot. The showers compensated for that. Great stay thankyou team on Devonport. We (family of 4) only stayed one night but the room was great as was the staff on arrival. We also parked the car conveniently at a good rate. Free drinks on arrival were also a nice touch. Only small gripe would be the slow lift. 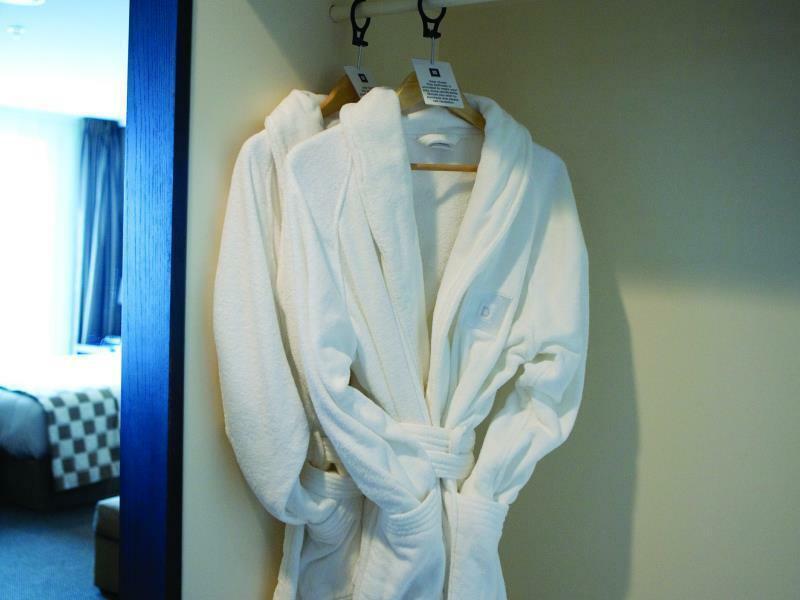 The room was spotless, the bathroom large with a great shower. The bed was very comfortable. There is car parking on the same level as the reception. The staff were friendly and helpful, recommending us to the Mediterranean Cafe a few doors away for a great breakfast. Pros, Excellent customer service. Provide choices on welcome drink. Provided welcome snacks too. Shops are just outside the hotel. Plenty of nice restaurants and bars nearby. Cons. Need to pay for parking. Lovely large room, much larger than expected for the price. They have some delightful little touches that make them stand out such as special towels for makeup removal and nice soaps in the bathroom. Enjoyed our stay @ Hotel on Deconport. Our room was lovely & staff were friendly. Our only suggestion would be that the beds need to be upgraded to a higher quality. The beds were springy, unsupportive & felt cheap. It was our first time staying in Tauranga and we thoroughly enjoyed it. The staff at Hotel on Devonport were very friendly and helpful throughout our stay. We couldn't get over the location and how close the Hotel was to everything. We stayed in a Suite and it was well worth every dollar. We loved the double spa bath - so relaxing!! The Sky TV. The room was equipped with everything. I strongly feel above standard. We have stayed at 5 Star Hotels before and can honestly say my stay at Hotel on Devonport was a lot better. We will definitely be returning. Keep up the good work. Another pleasant stay at this hotel. I did however believe parking was included in the room rate so was a bit surprised that we had that additional cost. Complimentary welcome drink appreciated. Although we stayed as a couple, our room was classed a family room. If we had stayed with our young children I would have been disappointed that there was no bath in such a room type. We absolutely loved this hotel. It was out favourite hotel from our whole stay in the North Island. I would highly recommend it! If it wasn't the last night of our trip we could have stayed here for weeks! Our overnight stay was a treat for an elderly, frazzled, couple who needed a short respite from the rigours of a hectic three months. The Hotel fulfilled our requirements perfectly, within walking distance to movies and restaurants, a comfortable bed to fall into afterwards with a complimentary glass of wine as a nightcap! Thankyou Hotel on Devonport.